The AFB Podcast Episode 49: Designer Vinyl with John "Spanky" Stokes! 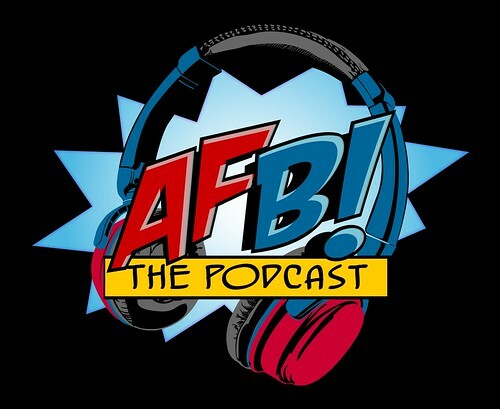 Episode FORTY NINE of the AFB Podcast is live at iTunes and is now available for direct download! Download and subscribe to the podcast at iTunes now! Join John, Scott and Adam for Episode Forty Nine of the Action Figure Blues Podcast! The AFB Podcast is a weekly look at action figures, statues and other collectibles from the worlds of comic books and pop culture. Episode Forty-Nine includes our regular features, and then a chat with John Stokes of spankystokes.com to learn a thing or two about designer vinyl toys. We had great fun chatting to John and I'm sure you will enjoy listening! If you can't use iTunes, you can download Episode Forty Nine here now! Click on the link to listen, or right click to save the file! The podcast will always be available from the “Podcast” tab here - but if you can subscribe and give us positive ratings at iTunes, that will help us greatly! Pre-Order Sideshow's 1:6 Scale Joker!